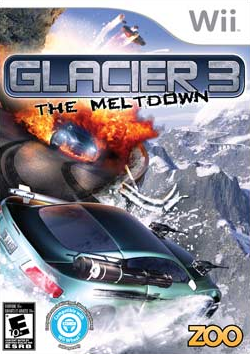 Get ready to ride and rampage in Glacier 3: The Meltdown, competing in the illegal Glacier Races! With the competition vying for victory (and your demise) equip yourself with one of eight powerful cars and experimental weapons to demolish other contenders in this deadly race. Do whatever it takes to stay on the track or you will find yourself dead last. The graph below charts the compatibility with Glacier 3: The Meltdown since Dolphin's 2.0 release, listing revisions only where a compatibility change occurred. This page was last edited on 15 January 2018, at 08:21.